Motorola hit gold already with the Moto X Pure Edition, a handset that’s not only attached with some killer specs, but a generally great performing handset in our testing – proving that it packs incredible value every way we look at it. For Verizon, however, it should come as no surprise by now that the carrier is getting its own variant. True to that promise, we have the successor to one of the longest lasting smartphones in our battery benchmark test ever, the one and only, Motorola DROID Turbo 2. In looking at its design, it’s a very different looking handset from last year’s offering, as it now boasts a flatter design style. Honestly, it’s not as aggressive looking with its approach, but rather, it favors a slightly more sophisticated look. Well, it helps that the phone can also be customized through Moto Maker – where prospective owners have full control in what materials and colors to choose from. 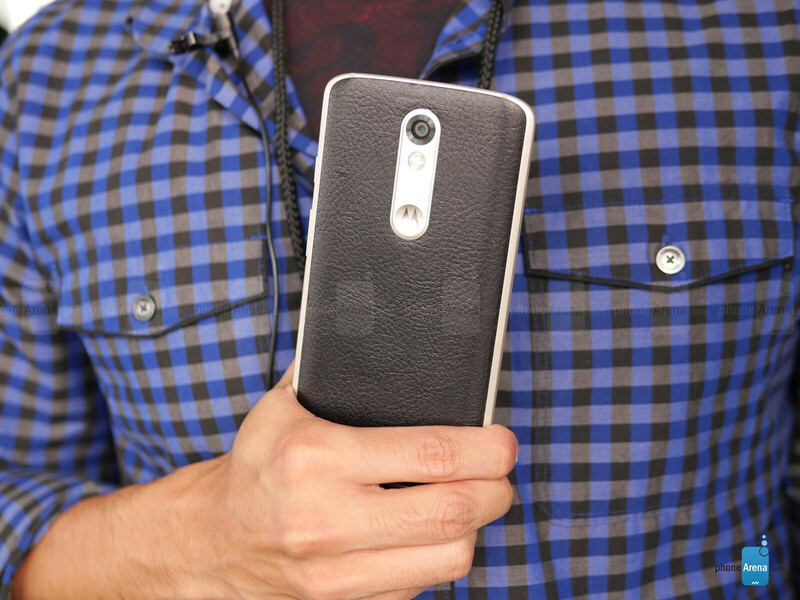 Compared to the Moto X Pure Edition, the DROID Turbo 2 has a more pronounced metal bezel outlining the phone. On top of that, it’s by far a lot easier to handle due to its smaller footprint. What’s truly astounding, though, is that the phone is built-like-a-tank – capable of surviving drops and falls that would prove fatal to other phones. That’s a perk that very few phones can proclaim, so if you’re the kind of person that’s a bit rough with your phone, you can have peace of mind knowing that the DROID Turbo 2 will survive. 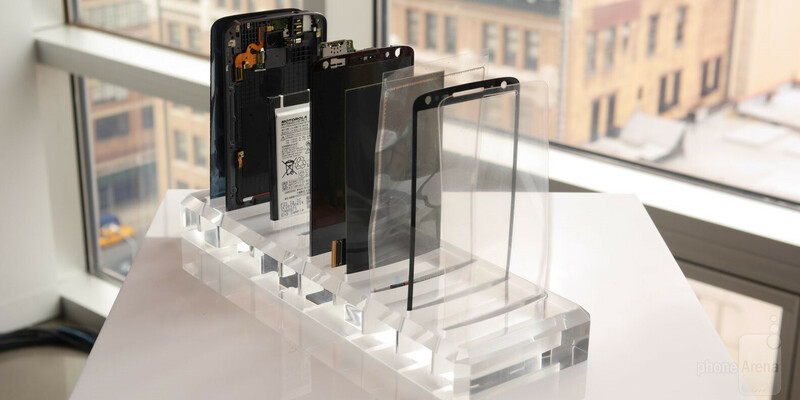 The ShatterShield display is a centerpiece of the Moto DROID Turbo 2, and for good reason. Naturally, it’s what enables the phone’s display to stay firmly impact, even if it’s dropped onto the floor with the screen faced down. As for the panel itself, Motorola fashions on a 5.4-inch 1440 x 2560 AMOLED screen, which is a contrast to the LCD display used by the Moto X Pure Edition. Technically, it’s sporting a higher pixel density count, ensuring that it’s one of the most detailed displays in a commercially available phone. AMOLED has shown its usefulness with the DROID Turbo last year, since its power efficiency helped to propel last year’s model straight to the top of the charts in our custom battery benchmark test. Therefore, we should absolutely expect no different here with its successor. What’s strange, though, is that there’s a slightly more subdued tone to the display, which can be attributed to the layers tacked on to comprise its ShatterShield display. We won’t go into incredible detail about the DROID Turbo’s Android experience, just because there’s one thing that seared into our head just checking it out briefly. That, folks, is the fact that it’s running on Android 5.1.1 Lollipop. For a new phone and all, it really would’ve been more compelling to see it running Marshmallow, especially when another recently announced phone, the HTC One A9, is coming to market with the fluffiest version of Android. Despite that, there doesn’t appear to be anything drastically different with the experience here, as it looks and feels almost identical to the DROID Turbo’s custom experience. We continue to see that in the form of the weather widget on the homescreen, which has been a constant figure in Verizon’s DROID line. Beyond that, it clearly shares many similarities to the Moto X Pure Edition – like how we can twist the phone a couple of times to launch the camera app. Truly showing its superiority over the Moto X Pure Edition, the DROID Turbo 2 receives its processing punch from the Qualcomm Snapdragon 810 SoC. Even now, it’s still regarded as Qualcomm’s premier chipset, ensuring smooth responses and actions. 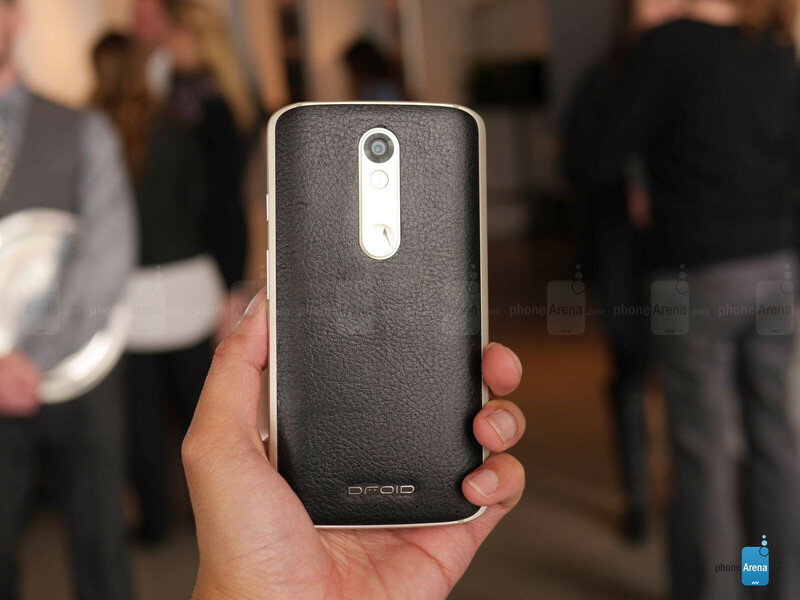 And so far, we see plenty of that in our cursory look-over with the DROID Turbo 2. That shouldn’t be a shock, especially for this DROID Turbo. Whether you choose the 32GB or 64GB models, you won’t have to worry about managing content stored on the phone because there’s expansion via its microSD card slot. Paired with a 21-megapixel rear camera, which features an f/2.0 aperture lens and a dual-tone LED flash, it’s certainly not afraid to get people drooling. 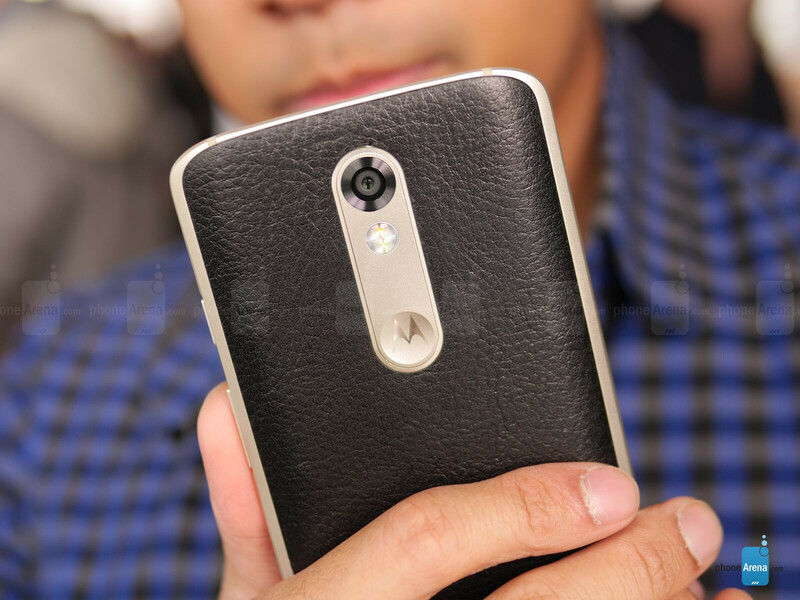 Considering that we’ve seen satisfactory results from the Moto X Pure Edition already, we’re hoping that this produces just a smidgen better images to better indicate that it’s the best-of-the-best from Motorola’s camp. For those selfies, however, there’s an ample sized 5-megapixel front snapper that’s there ready for the occasion. 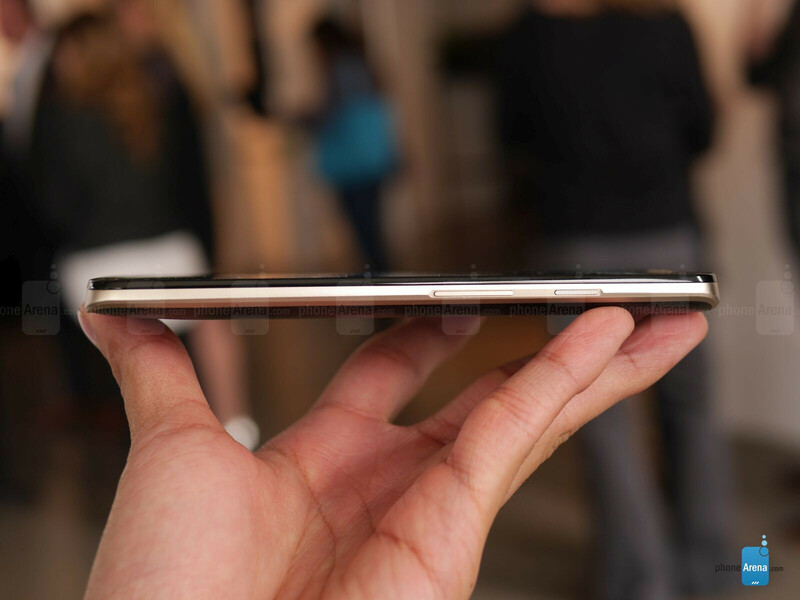 Like we said, we can twist the phone while holding it to instantly launch the camera. It’s a feature we’ve come to enjoy using with Motorola’s line of devices, but we’re still waiting for a tremendous overhaul to the camera app. Essentially, it’s the same one we have in the Moto X Pure Edition – one that’s straightforward with its approach, but lacks the diversified shooting modes and a real manual mode to compete against other camera greats. Long lasting battery, check. Durable design, check. Incredible specs sheet, check and check. 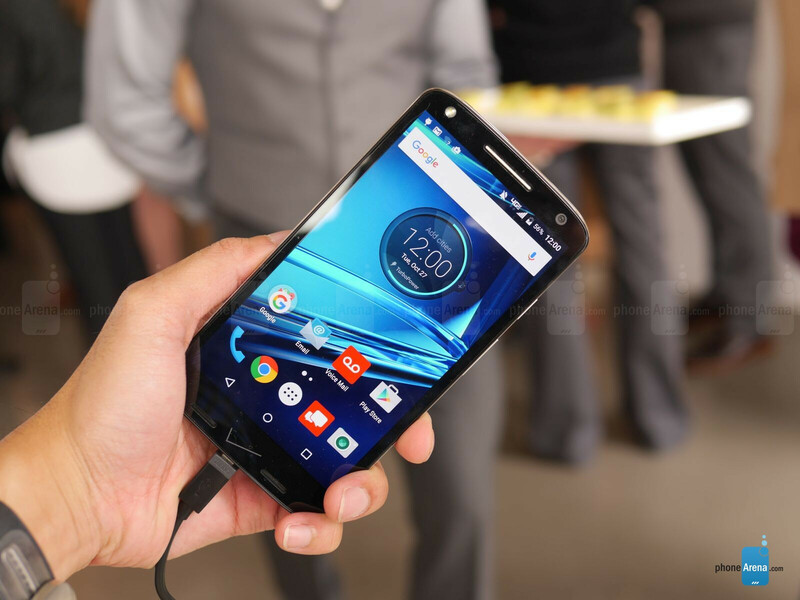 Everything is pointing to good news for the Motorola DROID Turbo 2. From its customizable design, outstanding drop protection, and killer specs sheet, it’s no doubt going to be one of the more favorable handsets for the upcoming holiday season – more so when it aims to reach new highs with its battery life. Not every phone can be so daring about its longevity, but it’s certainly not a shock for Motorola to gloat about it here. Unlike the Moto X Pure Edition, the DROID Turbo 2 comes at us with a higher price point. With an outright cost of $624 for the base 32GB model, it’s definitely a premium over the Moto X Pure Edition’s value conscious cost of $400 starting. Obviously, there are several reasons why it’s given a higher price point, but we can bet it’s going to be an excellent performer to validate its price. While we’re already optimistic about the phone, its biggest challenge is going to be able to attract consumers knowing that it’s exclusive to one single carrier here in the US – and that’s none other than Verizon. Them bezels are SOOOO 2010. Just UGLY. LG V10 knows how to do durability married with beauty, broski. V10 for the win! Meh saw the V10 like 2 weeks ago when the LG guy brought it to our location and was not impressed, the back feels cheap, the bezels are huger as well and the LG software is not improved. Why would it need a glass screen protector if the screen is scratch and shatterproof? The camera doesn't blur at at all. And why do you pity the fall flagships? The difference between the 810 and 820 is so marginal. There is no real difference in everyday use. And if you are leaving Verizon, why even comment?? ?